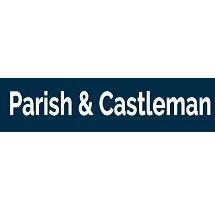 Parish & Castleman concentrates in litigation, business, real estate, estate planning and probate law. We also represent plaintiffs and defendants in negligence and insurance claims. The firm was established in 1906 as McMillan and McMillan. The original partners were later joined by Horace B. Garman and Robert D. Owen. Bob Owen was with the firm until his death in 1989. Members of the firm are Darrel F. Parish, Linda M. Castleman and Robert H. Roberts. Darrel Parish concentrates in the areas of civil litigation, negligence, real estate and banking law. He represents banks in connection with mortgage financing and foreclosures, secured transactions and bankruptcy claims for creditors. Darrel has a farm background and also handles drainage and drainage district matters, and other issues related to agriculture. Linda Castleman is a native of Pawnee, Illinois. She attended the University of Missouri Law School (Order of the Coif) and concentrates in probate law, litigation defense, including legal malpractice and insurance litigation, health care law and contract negotiations. Bob Roberts, a Decatur native and University of Missouri Law School graduate, was previously associated with the Millikin National Bank and now serves as a director of the Magna Trust Company, headquartered in St. Louis, Missouri. He concentrates in wills, trusts and estates and estate planning. He reviews new trust agreements accepted by Magna Trust Company. The firm has handled numerous significant estates and trusts, and filed Federal Estate Tax returns involving special use valuations of farm property. We have handled transactions involving multiple exchanges of real estate, loan participation agreements between banks, as well as employment agreements, incorporation of businesses, purchase agreements, buy-sell agreements and similar business agreements and contracts. We defended Phillips Petroleum Co. in litigation arising out of the 1974 tank car explosion in the Norfolk and Western railroad yard in Decatur, and defended of product liability (tractor fire) cases on behalf of International Harvester Co., in St. Clair County (Belleville), Illinois. We have represented plaintiffs in malpractice claims against certified public accountants and attorneys, and defend attorneys, as well. In the past, we have represented plaintiffs and defendants in medical malpractice cases, but we have chosen to limit our representation in such cases to defendants. We also represent individuals in connection in a variety of personal matters. In representing our clients we bring to bear our collective experience and try to reach a practical and fair result. We are prepared and willing to take meritorious cases to trial, but we also understand that a fair settlement preferable to litigation. Our office is located in Decatur, Macon County, Illinois, the location of the world headquarters of Archer Daniels Midland Co. and A. E. Staley Manufacturing Co., and manufacturing plants of Caterpillar, Inc. and Bridgestone-Firestone. Our practice extends to Champaign (Urbana), Coles (Mattoon & Charleston), Christian (Taylorville), Cumberland (Toledo), DeWitt (Clinton), Douglas (Tuscola), Logan (Lincoln), Moultrie (Sullivan), Piatt (Monticello), Sangamon (Springfield) and Shelby (Shelbyville) Counties.